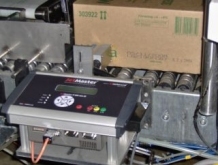 High definition Industrial Inkjet printer designed for Industrial use with high uptime, less than 5 min uptime in case of an error condition or defective print. 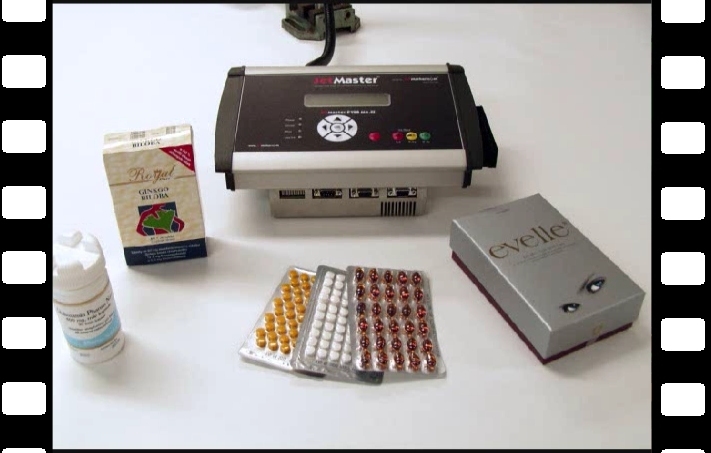 Simple and stand alone solution for industrial graphical and text printing used for marking and coding up to 18.5mm height; combined printing graphic and text. 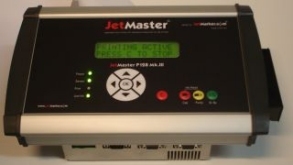 Automatic offset by days/months/years - All formats for Date and Time - Indicator for low-ink (and output) Indicator for Sensor signal- Indicator for Print- Indicator for power- Easy to install - Easy to run - Easy and clean to replace ink cartridge- Low running cost- Low power consumption-Low service and maintenance. Easy to clean. Print speed: up to 80 cm per second. Continuous print or print on demand. Prints Forwards, backwards & flipped. Text lines: 1 line 16mm. high, 2 lines 8mm. high, 4 lines 4 mm. high, 5 lines 3mm. high, 6 lines 2mm. high. Possible to combine with graphic, logo, etc. Standard font of sizes: 2mm, 3mm, 4mm, 8 mm and 16 mm height. 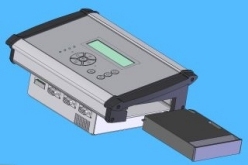 Flexible Installation controller can be mounted vertically or horizontally. Print Directions 360 degree. Low cost, low running cost no filter change, no use of mark-up fluid, long lifetime, can be self serviced by customers. Ink capacity: 110 ml. cartridges, solvent based. Easy to operate with menu system with backlight LCD display with big characters. User interface comes in English, Danish (Spanish, German & Chinese to come). Input: Power, Product sensor, Taco, Line start/stop. Output: Ink low, print mode active, alarms, Power. Serial interface with Windows graphical interface. Dimensions: 25cm x 11 cm x 20 cm. weight 3 kg. Build in pressure pump for easy nozzles clean. 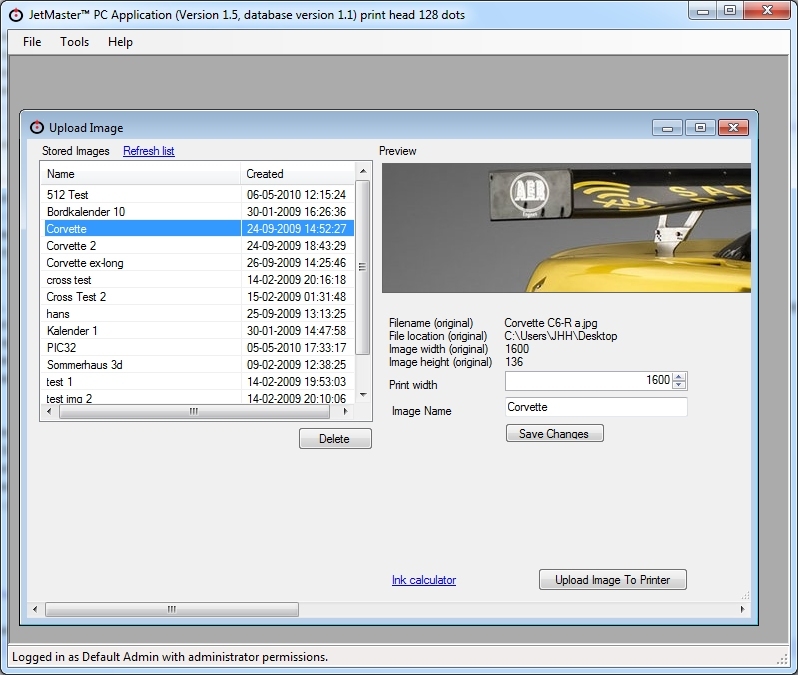 With the JetMaster PC Application new font sets and background images can be configured. The application allows for different user levels.